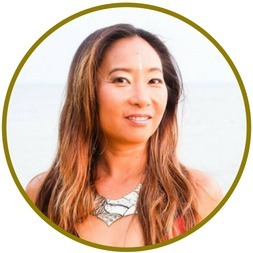 A 6-month Soul Purpose personal branding experience for Modern Wisdom Keepers to create a sacred online presence that is aligned with the vibration of your Highest Self and in harmonic resonance with your Soulmate Clients. Birth a New Soul-Powered Brand? Light leaders are visionaries who seek to raise collective consciousness of the planet and catalyze the shift to an environmentally sustainable, socially just, and spiritually fulfilling human presence on this planet through their Soul’s Purpose. Leaders who are taking their next big step into the public domain because they know it is their sacred calling to leverage their precious human life to make lasting, positive, global impact. Know that their Soul Purpose in this life is to help raise the collective consciousness of the planet, and this work starts with raising their own vibration. Lead and create from the heart, with courage, compassion, joy, humility, authenticity, and vulnerability. Understand the power of creating community and expanding collective wisdom, so that we can come together to learn, evolve, and teach each other compassion and unconditional love. Recognize that there is boundless Abundance in the Universe, and that one’s ability to receive abundance in exchange for their sacred service is simply a powerful alignment of energy. Receive with gratitude the guidance of Elders, Teachers, and Spirit Guides, who have accompanied you throughout Time and Space, in an unbroken lineage of ancient wisdom. Does it feel to you that this path of continuous evolution you are on, that spans inumerable lifetimes, appears to be accelerating (along with humanity’s collective awakening) during this potent, yet tumultuous time? That the light is getting brighter, and the shadow is getting longer? And as you’ve travelled this path towards your Highest Self, in pursuit of your Soul Purpose, you look back and realize that you are a completely different person from who you were a year ago, 3 years ago, and 5 years ago…. And that your online presence still reflects the old you. If you are ready to shed the skin of your old online identity and birth a new presence, one that is deeply aligned with your True Divine Self and in harmonic resonance with those you wish to serve. One that magnetizes your Soulmate Fans, Customers, Clients, and Allies to your mission… then you are in the right place. You are ready to launch a soulful sales funnel and want support creating and implementing your webinar, high-end client discovery session, or online course marketing campaign. You are ready to launch a virtual summit and want to make sure you are positioned to successfully attract thousands of soul-aligned fans to your event by ensuring that the website is built correctly by a seasoned professional and the technology is working, so that you can focus on networking with partners and conducting soul-shifting interviews. You want to repackage your offers to reach a new audience, because you may have outgrown the audience you once served, and are seeking to serve more soul-aligned tribe that has different values than your current clientele. You are overwhelmed with the technology behind creating web pages and setting up sales systems, and really want to receive step-by-step support and feedback. You have been serving clients all these years and are finally getting around to upgrading your old, outdated website. You have been in the workforce for many years, and are changing careers. You do not want to start off as “entry level” in a new industry. You want to establish yourself as a thought leader in your new field so you can make a parallel transition to an equivalent, if not better, role. You are an Intrapreneur Agent of Change who wishes to establish a strong personal brand in your industry, attract speaking gigs, better job opportunities, and evolve into an industry celebrity who is impossible to fire. You are an Awakening Entrepreneur who is ready to give your online presence an extreme makeover, because nobody seems to really know what you do, and you know beyond a doubt that this powerful realignment will magnetize more money. while someone else takes care of the heavy, technological lifting. Instead, I had to learn how to do everything myself, because back then, I didn’t have the budget to hire an agency, and there was no point in doing that anyways, because I had no idea what I was going to sell. So I rolled up my sleeves and committed to mastering this Internet business game. I built my first website in 2005, and launched… to crickets. I didn’t realize that I needed traffic. So I started mastering the art of SEO and organic traffic generation. Then I discovered, all of this was a colossal waste of time if I had nothing to sell. So I decided I would sell consulting services… and then discovered that in order to sell consulting packages, I had to learn how to close a deal….And in order to have enough deals to close on a consistent basis, I had to learn how to do Internet marketing launches and paid advertising to generate leads…. I’ve created thousands of pages of SEO-optimized content, dozens of websites and launch funnels, podcasts and videos, as well as countless banners, logos, ebooks, etc over the last 14 years. As I’ve been doing these things for my own business as well as for clients, the question that is always the top of mind is, how do I simplify all of this, and make it fast not only for myself, but easy for the clients I serve? So my team and I have created all kinds of templates, from banners, to eBook designs, to websites and landing pages, so that my clients can focus on delivering their genius, spreading their message, and forging powerful partnerships, while my team takes care of the technological heavy lifting. in Alignment with Your True Divine Self? Launch a magnetic personal brand website, that is configured to attract your tribe and fill your calendar. Key features we will work on include your Home Page, About Page, Calendar Booking System, Programs & Services Page, and Discovery Session Application Process. This is the One Funnel That Rules Them All, and the keystone of an online coaching or consulting business. Together we will craft an Irresistible Free Gift that attracts your Soulmate client, a Prospect Warming Nurture Sequence, Discovery Session Application Process and Soul-Shifting High-End Program Sales Page. Webinars are a powerful way to establish yourself as an expert and build trust with your audience. You will learn how to create a webinar that sells through the wisdom of your hero’s journey. Master all the moving parts of creating wealth through webinars, while we create your beautifully branded presentation, webinar registration pages and email sequences. Virtual summits are a powerful way to grow your audience, but the launch mechanics can be complicated and daunting. Instead of getting bogged down by the technology, focus on recording soul-shifting interviews and building your relationship with powerful new allies. My team will design your banners, build the website, and integrate it with your email, CRM, and / or shopping cart . You will receive our entire virtual summit system, plus fill in the blank email templates. We are advocates for the responsible and respectful use of sacred medicines, not evangelists. For this reason, preference will be given to individuals who have had prior experience. Once accepted, you will have the opportunity to review the retreat package, as well as the terms and conditions, prior to completing your booking. This is where we chart out the road map to the strategy you will implement. We will establish the list of deliverables and deliverability date so that by the end of our 6 months together you will have a working, tested sales funnel that is ready to receive qualified traffic and generate sales. You get six 30-minute get-it-done call with Lorna, that you can use at your discretion, whether on a monthly basis, or concentrated in the beginning, middle or end of your program. During these calls, we will review your strategies, go over your marketing copy, dive deep into your funnels, and give any web page the extreme makeover it needs so that you are positioned for optimal success. In between calls, you will have email access to Lorna, where much can be accomplished towards the completion of your funnel or website. A project will be created for you in Asana, which will notify you of any actions you need to take, pending tasks as well as the overall status of your web build. You will receive a website or sales funnel template based on Lorna’s battle-tested marketing and sales system. We will provide accompanying banners and graphics necessary for the specific pages included in the system. We will add your professional photos and customize the look and feel of the web templates to reflect your personal brand. We will integrate your chosen sales systems with your email, CRM, and / or shopping cart system. Is Soul Journey Right For Me? This is a Done For You Program where you create the content, provide the photos and images you want to use. We then take your content, brand it, package it, publish it, and integrate the technology so that you have a fully functioning end-to-end sales system. In order for the agency to be able to deliver a complete and full funnel within a 6-month time frame, we need to receive all your completed copy and digital assets within 90 days. It typically takes us 6-8 weeks to build a working sales funnel upon receipt of your complete content. Why is the Soul Journey Program 6-months long? Soul Journey is 6-month program full service agency program for established entrepreneurs who already have clarity on what niche they serve, an existing audience in the thousands, and at least a one-year history of selling programs, products, and service packages. Sacred Brand Soul Journey is ideal for Modern Wisdom Keepers who already have plenty of content to work with, and want to repackage this content into new products, as well as for those seeking to completely re-brand. This program is also for change-making intrapreneurs who want to create a personal brand to position themselves as an industry leader. To qualify for this program, you already need to be generating income through your business, and be willing to invest at least $1000 a month in paid advertising to send traffic to your offer. You also need to have all your digital content and assets ready for my team to take and re-create into stunning eBook designs, and webpages. If this sounds like you, you are invited to apply for a discovery session to see if working together is a fit. If you do not have this content and must create this from scratch, then it is best that you join the Ascension 12-month program instead. I feel like I need more time to learn about one of these launch strategies. Do you have a longer program? Yes! For entrepreneurs who do not yet have an online sales system that attracts at least 1000 opt-ins a month and generates recurring revenue, 12 months is typically how long it takes to learn new strategies, master new skills, and successfully implement the technology. Yes! You will receive 1-to-1 calls with me to review your offers, marketing copy, web pages, and strategy, as well as address any questions or obstacles that might come up during the process. Will Lorna write my website and marketing copy? No. While copywriting is one of the core skills in my zone of genius, I serve as the medium to your message, but you must write your own story. Direct response copywriting is one of the most powerful skills an entrepreneur can develop. Copywriting is best done by the business owner; it is not something that can be easily or effectively outsourced in a way that is authentic to you and persuasive to the audience you know so well. Few other people will be able to write a more compelling message than the product creator. Will Lorna manage my launch? No. The program does include web production, graphic design services, and we can handle emailing administrative messages like sending out summit agreements, or following up with summit speakers on headshots, etc. The service, however, does not include launch management services, which involves careful monitoring of campaign performance, appropriate partner communication based on launch statistics, as well as strategic campaign pivots. Just like an entrepreneur needs to “own” their own business for their business to thrive, I believe that entrepreneurs need to “own” their launch and their JV relationships, especially in the beginning. I speak from the experience of outsourcing my launch to a launch management company, having it totally flop, and being out all that time, plus thousands of dollars. As you grow, and find yourself comfortable calling the shots, understanding what the data means, and the impacts of different strategic choices, then, it makes sense to have someone manage your launch. But I believe to do so prematurely is to give up your own power. That being said, my agency can provide launch management services as an add-on, but know that this would be a premium 5-figure service, plus percentage of sales. Will Lorna help me with Facebook advertising? No. Facebook advertising is not included with this program, however, I can, provide this as an add-on service for an additional monthly retainer. Also, if you are fairly new to business, I suggest hopping into my 12-month program Ascension, which gives you a 1 year container to thoroughly explore 2 niches leveraging the power of sales funnels. Many emerging entrepreneurs go on a niche journey that takes them through different markets (and offers) before finding their true home online. It is much better to leverage the power of sales funnels to explore different niches than offerings, before splurging on a custom website, that you will end up having to rebrand if you decide to change niches down the road. If you don’t yet have an established revenue-generating business, I suggest you join the Ascension 12-month program. When you join Ascension, you will learn the life-changing art of attracting your soul tribe online and launching an offer that is aligned to their deepest desires. An online launch is typically a 3-6 month process, and in the 12-month Ascension program, you will have the space to test 1-2 niches and offers. If you are clear about what service you are offering, then you will receive step-by-step support on the fastest way to launch a 6-figure business, serving high-end clients within a 6-12 month time frame. This is not a “learning from scratch” program. This is a full service agency program oriented towards entrepreneurs who already have some experience with running their own marketing campaigns and have existing content we can work with. The time we spend together is oriented towards you creating magnetic media that is irresistible to your soulmate client, based on your existing knowledge of the challenges and desires of your ideal clients, and the source material you already have. Even if you have never implemented your own funnel, in order to complete the program with a working and tested funnel of your own, it’s best you start with a conceptual understanding of what a sales funnel is and how it works. I provide very detailed handouts with fill in the blank worksheets for your marketing copy, and How To training videos, so that content creation flows efficiently. I suggest budgeting one hour a day towards content creation. However, know that the more time you put into this program, the more quickly you will complete your funnel, the faster you will see results in your business, and the faster you will start making money. A well-positioned, with some online experience will typically take 3 months to research their client avatar, put together an offer stack, and implement sales funnel. It’s entirely up to you to to take a full 6 months to implement your sales funnel, but that means we won’t have time to go review your traffic strategy or for me to guide you through the post-launch money making phase as in depth as we could, and this is where you have the opportunity to make the most money from your launch. I’ve participated in business masterminds where the coaching was very aggressive, which can be at odds with where an entrepreneur is in his / her learning process. The way I coach is that, I believe in giving my client choices along the way. At any major juncture I will share with you at least 2 choices (plus their pros, cons, and consequences to your business) so that you are empowered to make the best choice for yourself, given your current circumstances. If you are taking too long to put together your content, I will remind you of this with love, rather than with stress-inducing force, because at the end of the day, you are an adult with free choice. In Sacred Commerce, money is energy. In order to receive that which you desire, you must be willing to give it FIRST. For example, if you want wonderful soul-aligned high-end clients, you need to be willing to first be a wonderful, soul-aligned high-end client. If you want an online business, that means you by default also want people to pay you for your services with their credit card. If you want people to pay you by credit card, then you need to be willing to pay others with a credit card first, and overcome any story around “not wanting to be a part of the credit financial system.” This is how it works. There is also absolutely nothing wrong with building up your business as a side hustle while you work a day job, and save a portion of your salary to invest in your business every month. I did this the entire 7 years I worked a corporate job. This meant I often worked 60-80 hours a week as I built up my consultancy. Now I have a life of freedom, where I run my business from anywhere in the world, take longer vacations than 2 weeks, and drop into many wonderful soul-aligned communities in beautiful parts of the world to connect with tribe and collaborate on shifting collective consciousness. I was also able to qualify for a residency visa to move to the most perfect place in the world for me – Ibiza, Spain. This dream didn’t happen for me overnight, it was a result of daily, focused intention and visualization, coupled with massive, consistent actions following strategies that worked, along with massive investing in my business education. For me, the most painful time periods where when I did not have the support of a mentor to guide me through proven business strategies, and I wore myself out and drained my bank account following incomplete marketing tactics that felt like I was throwing spaghetti at a wall. My breakthrough movement occurred when I invested in my first high-end mentor in a 1-1 mentorship program, made back 5 times my investment, and eventually superseded my last 6-figure corporate salary. Trust me, I know exactly what you mean. I’ve taken so many 5-week, 8-week, 12-week business courses that focused on ONE piece of the puzzle, and on top of that I had to figure out how to create all the pages and get it all the technology to work, on top of learning a brand new strategy. That’s why Soul Journey is a 6-month agency supported program designed to help you implement a complete sales funnel from end-to-end, where you will receive fill in the blank funnel templates for your team or my team to add content to. I’ve spent a lot of time and energy building and optimizing funnels for clients and my business, and now you get to simply clone and customize my work and make it your own. I’m very clear about what it’s like to work with me. I’m also very specific about who I work with. It’s in my best interest to help you see results because I want happy clients. If you’re feeling the call, apply for a discovery session with me and let’s see if it’s a match. I only have room in my calendar to provide 5 highly-motivated, GSD entrepreneurs full agency services each month. I am selective about who I work with and I only take on clients who are ready to step up in a big way in the next 6 months that I know I can help.